The Simpson's predict another one. 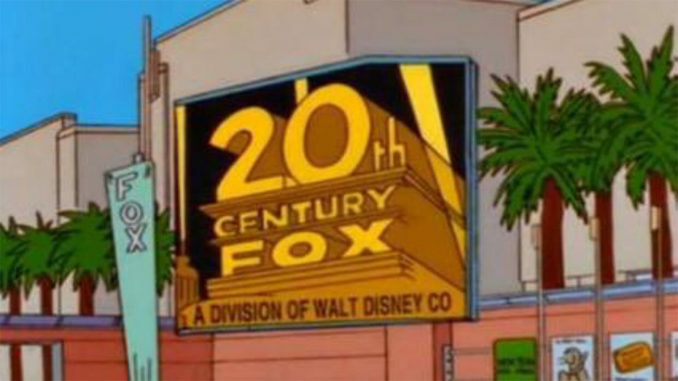 UPDATE: Disney announced today that it has completed their $71,3 billion acquisition with 21st Century Fox. 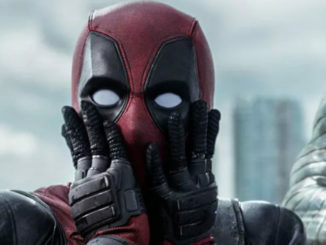 The buy out returns many Marvel Properties back to Marvel Studios, including DeadPool, The X-Men, and the Fantastic Four. It also brings the original Star Wars Episode IV: A New Hope back into the Lucasfilm fold. Previously, Fox held distribution rights to Episode IV in perpetuity. So now, Star Wars fans will never get to hear the fanfare again before John Williams’ stirring theme. But it is possible we may get to see the original cut in a future release, or least on the Disney+ streaming service. Disney also receives controlling interest in the Hulu streaming service, and the word on the street is that they are planning to buy out Warner Brothers soon. 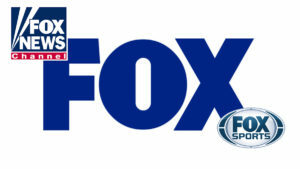 Unfortunately, it also means the cover 4,000 employees working at Fox will likely be laid off shortly. 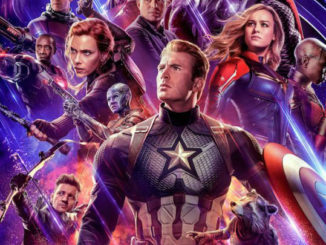 Things are going swimmingly for the Disney-Fox merger, as the Mouse House has agreed to allow Fox to sell Fox shares of SkyTV to Comcast for $15 Billion, eliminating one hurdle towards their $84 billion acquisition. Now the news is that NewsCorp will be spinning off Fox News, Fox Broadcasting, and Fox Sports assets into a separate company. The new broadcasting conglomerate, referred to as “New Fox,” will likely go by the standard FOX moniker, and will be chaired by Lachlan Murdoch. FOX’s broadcast umbrella of networks will also be the only television broadcaster that is not owned by a parent studio, as ABC, ESPN and others are owned by Disney, CBS is owned by Viacom (sort of), and NBC, USA, and its affiliated cable networks are owned by Comcast. Fox, by contrast, will be able to work with all four networks in order to air content that doesn’t land a home at a parent network. “We want to be their first choice at the big four networks,” Walden said. Walden also stated that she hopes to use New Fox to court independent studios as well, who have been a major provider of original content for Netflix, Amazon, and other streaming networks. 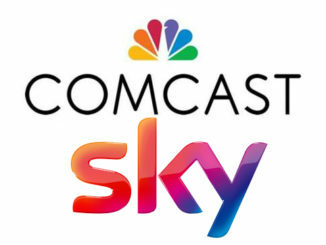 Some potential suitors include Comcast (that’s unlikely due to their SkyTV acquisition), AT&T (equally unlikely due to their massive Time-Warner purchase) Verizon and cable giant Charter Communications. But another possibility is a dark horse like Amazon. The eCommerce site is already getting it’s feet wet with its’ second season of streaming NFL Thursday Night Football with Fox, and that partnership could make acquiring the RSNs a smoother one. Another option, is that Fox is discussing buying back the RSNs from Disney. 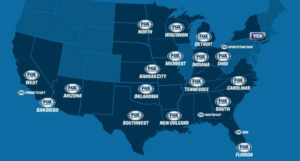 “Executives at Fox have discussed the possibility of buying back the collection of sports channels from Disney, recombining them with what will be left of Rupert Murdoch’s entertainment empire after the Disney deal.” writes Jessica Toonkel and Tom Dotan of The Information blog. The estimated value of the 22 RSNs is around $25 billion (that’s Star Wars money) and would require approval from the new Fox board. With Fox spinning off into it’s own independent broadcast networks, the company is already lining up key personnel, having announced promotions of five executives to run the concern. Those executives are Eric Shanks, to CEO of Fox Sports; Mike Biard, to President, Operations and Distribution for Fox; Paul Cheesbrough, to Chief Technology Officer and Head of Direct to Consumer Platforms for Fox; and Steve Tomsic to Fox’s Chief Financial Officer. Additionally, according to Deadline, Marianne Gambelli will be elevated to President of Ad Sales, and Fox TV Group chairman and CEO Gary Newman is in negotiations to stay on in his current role. With their team in place, Murdoch’s new Fox could mean that the Disney-Fox deal will conclude by year’s end.